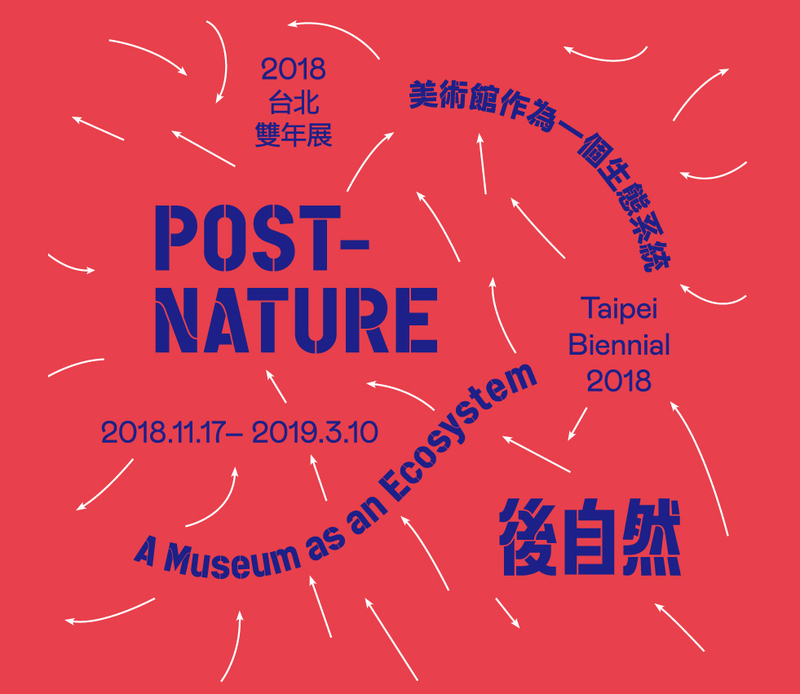 Post-Nature—A Museum as an Ecosystem takes its title as a starting point to examine the ever-changing and osmotic nature of an ecosystem, and to explore how this can be reflected in artistic and institutional practice. Through this perspective, the biennial seeks to address the urgent environmental conversations of the 21st century—spurred by a recognition that, with resources in short supply and climactic change fast developing, such debate may not be possible at a later stage. This year’s co-curators, Francesco Manacorda and Mali Wu, assert that these ecological issues must be more intensively and publicly considered in the immediate present. To open this conversation to diverse local and international audiences, Post-Nature—A Museum as an Ecosystem takes on an interdisciplinary and participatory form. Here, the biennial acts as fresh attempt to develop ecological consciousness as a consistent and common way of thinking, rather than simply addressing ecological issues inside a museum. Since the very beginning of human civilization, we have manipulated and enhanced our environments in order to survive. From the invention of the wheel and the development of agriculture, to the discovery of the fossil fuels which continue to light our homes, and the advancement of the technologies which enable travel, communication, trade and modern-day capitalism, we have constantly sought new methods to improve our own lifestyles and wellbeing. Still, this perpetual forward motion now appears to be paving a path of ecological destruction, rather than positive progression. This subject is particularly relevant to the site of the Taipei Biennial, located in the capital city of Taiwan, a small island nation in Asia. Since the transition from agricultural to industrial society, Asia has become the world’s factory and has broadly sacrificed care for the environment in order to sustain not only its own, but global, economic development. Like many developing cities in Asia, the entire island of Taiwan now faces severe environmental problems due to industrialisation, urban development and global economic pressure; it has even been described as a microcosm for climate change worldwide, as Taiwan’s temperature rise and dramatic weather patterns significantly outstrip global averages. As the international population increasingly comes to recognize its pressing, and collective, responsibility to protect the planet, the tendency to utilize technology only for human advancement is evolving into a search for new, complex and experimental plans for sustainability—which are concerned with the survival of non-human beings too. With this movement away from anthropocentrism, comes an acceptance of more universal and all-encompassing approaches such as systems thinking, which understands the planet as a collection of interdependent ecosystems, populated by diverse and mutually reliant beings. Natural ecosystems exist on the basis of symbiosis, reciprocal working and collaboration, in order to maintain a balance. Human activity may be well-advised to follow nature’s example, as global environmental problems become increasingly turbulent and complex. Noting that ecological problem-solving can no longer be carried out as a series of individual interventions by a single field, Post-Nature—A Museum as an Ecosystem asserts the productivity of embracing cooperation between the disciplines to foster innovative thinking, and forge new solutions. Once solely the realm of the sciences, it is important to recognize the other thinkers whose research and practice is highly relevant to this investigation: non-governmental organizations (NGOs), sociologists, activists, and artists - who have a distinct ability to think freely and creatively, and to imagine and invent unconventional solutions. Post-Nature—A Museum as an Ecosystem therefore invites artists, scientists, sociologists, urban planners, activists, theorists and NGOs to develop artworks, programming and research studies which examine a multitude of planetary ecologies, economies and societal structures, and bring to light the different modes of connectivity upon which they rely. In presenting disparate disciplines on an equal platform, the exhibition crucially avoids simply illustrating ecosystemic principles and instead reframes Taipei Fine Arts Museum as a discursive space for collaboration, transformation, cooperation, diffusion and absorption. Not only are ecosystems interdependent structures, they are also in constant dialogue with their surroundings, and so to fully take on the form of an ecosystem, the museum needs open its doors to many voices and perspectives from its locale - many of which stand beyond the boundaries of art. In Post-Nature—A Museum as an Ecosystem the reimagining of the TFAM is deconstructed into three strands: managing the museum’s relationship to immediate environmental issues; recognizing its role as a social actor, which can become integrated in its local community and culture; and, on a global level, ensuring that the museum works to promote collaborative efforts between differing fields and institutions alike. This exhibition can therefore also be viewed as an institutional critique, countering the most conventional idea of the museum as a static space for the contemplation of objects, entirely detached from its locale. In terms of its formal exhibition, Post-Nature—A Museum as an Ecosystem comprises ambitious and large-scale new commissions, as well as existing works, and media deriving from other disciplines such as documentary film, architecture, literature and archival research. In keeping with the biennial’s ethos of eco-systemic adaptation and relay, these aspects are interrogated and interrupted by a live programme of workshops, events and research fora. These actions enhance the ability of the biennial to be self-reflective, to behave as if it were a living organism and to engage local and international publics in a knowledge-building exercise: imagining innovative solutions to current and foreseeable environmental problems. Critically, this inclusive and interdisciplinary restructuring of the museum offers a new, more dynamic model for institutional practice, contributing to contemporary museological thinking. 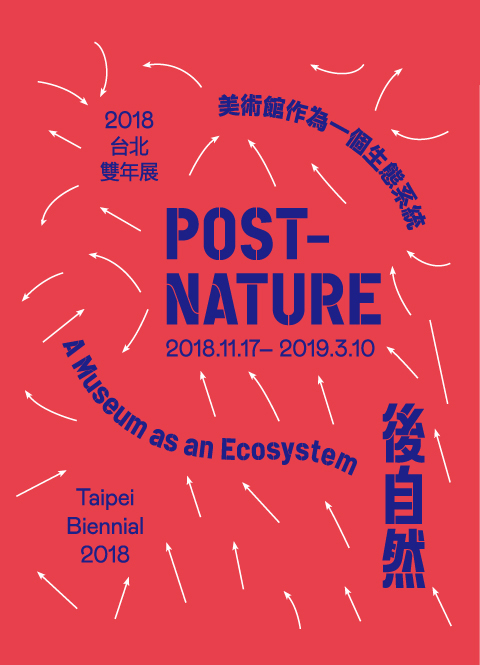 Taipei Fine Arts Museum can therefore be considered the central nervous system of this year’s biennial, whose diverse and internationally-relevant discussions extend beyond the architectural limits of the museum to reach multilateral resonance as part of a larger, global body. In this way, all aspects of the biennial contribute to an overarching view of how ecosystems develop, regenerate and influence one another, hinging upon the necessity of holistic collaboration, inclusive systems thinking, fluid communication, and innovative adaptation to change. A graduate of Kunstakademie Düsseldorf (the Arts Academy of the City of Düsseldorf) in Germany, Mali Wu currently teaches in the Graduate Institute of Interdisciplinary Art at National Kaohsiung Normal University. Following the avant-garde tradition, Wu’s artistic practice and research focus on what art can do in the public sphere. In the 1990s, she started to criticize the state of social and political affairs from a feminist perspective in her works. She has launched a series of community-based projects of new public art, including the participatory art workshop “Playing with Clothes” organized by Awakening Foundation as part of Awake in Your Skin (2000-2004), which reversed the tradition of women’s needlework and discussed women’s lives through clothes and weaving; Art as Environment: A Cultural Action on the Tropic of Cancer (2005-2007) in Jiayi County which promoted equality of cultural participation rights in rural areas; By the River, on the River, of the River – A Community Based Eco-Art Project (2006); Restore Our Rivers and Mountains – Along the Keelung River, a collaboration with a community college attempting to stimulate discussion about rivers and current environmental issues; and Art as Environment: A Cultural Action at the Plum Tree Creek, a collaborative project with Bamboo Curtain Studio which re-examined urban ecology and development through an ignored creek. She won the 11th Taishin Visual Art Award in 2013 with Art as Environment: A Cultural Action at the Plum Tree Creek and the 19th National Award of Art, Taiwan in 2016. Wu has consistently dealt with ecological issues by adopting art as an approach to bridge culture and nature, demonstrating the potential for contemporary art and the vital personal energy of an artist. Born in 1974 in Turin, Italy, Francesco Manacorda earned a degree in education from the University of Turin (2000) and an MA in Curating Contemporary Art from the Royal College of Art, London (2001-2003). An experienced art writer, he has published articles and reviews in such publications as Artforum, Domus, Flash Art, Frieze, Metropolis M, Mousse, Piktogram, Kaleidoscope and ArtReview. He has edited numerous publications and written critical monographs on several artists’ works. Between 2007 and 2009 he served as curator at the Barbican Art Gallery, where he realized the large-scale exhibitions Martian Museum of Terrestrial Art and Radical Nature – Art and Architecture for a Changing Planet 1969-2009 (2009). In 2007 he curated the Slovenian Pavilion at the 52nd Venice Biennale and in 2009 the New Zealand Pavilion at the 53rd Venice Biennale, while in 2013 he was a member of the International Jury for the 55th Venice Biennale. His curatorial practice has also included freelance projects such as Subcontinent – The Indian Subcontinent in Contemporary Art, Fondazione Sandretto Re Rebaudengo, Torino, Italy (2006). From February 2010 to March 2012, he was director of Artissima, the international fair of contemporary art in Turin, and from 2012 to 2017 he was artistic director of Tate Liverpool where he curated exhibitions such as Mondrian and His Studios; Glenn Ligon: Encounter and Collisions; An Imagined Museum; Leonora Carrington: Transgressing Discipline and Cathy Wilkes. In 2016 he co-curated the Liverpool Biennial. He was visiting lecturer in exhibition history and critical theory at the curating contemporary art department of the Royal College of Art, London from 2006 to 2011. He is currently artistic director of the V-A-C Foundation and visiting professor at LJMU School of Art and Design in Liverpool. with extended hours on Saturdays till 8:30PM. Take the MRT Tamsui-Xinyi Red Line to Yuanshan Station.Exit 1, and follow the pedestrian trail through Art Park of Taipei Expo Park, turning left onto Zhongshan North Road Section 3. The Museum will be on your right. Technicians: Thousand Bird Arts Co. Visual Construction: LUNG HSING Advertising Construction Co., Ltd.